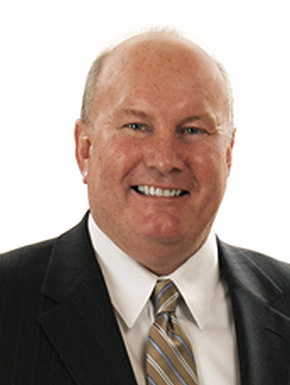 Prior to his current role, Mr. Hurley acted as Chairman and Chief Executive Officer of Genworth Canada from May 2009 until the end of December 2014. Prior to that he served as President, Genworth International – Asia Pacific, Canada & Latin America from September 2004 until May 2009, with responsibility for Genworth Financial’s activities in key markets around the world. Before that, Mr. Hurley was Senior Vice President, International of General Electric’s U.S. mortgage insurance business from February 2000 to September 2004, prior to which he was Senior Vice President of Sales and Operations between October 1996 and February 2000. Between August 1994 and October 1996, Mr. Hurley served as President and Chief Executive Officer General Electric Mortgage Insurance Canada. Before that, Mr. Hurley was Chief Financial Officer of General Electric Mortgage Insurance from 1991 until August 1994. Prior to that, Mr. Hurley joined the NBC Corporate Staff as Manager of Capital Planning, continuing in roles including Director of International Finance and Enterprise Operations. In 1984 Mr. Hurley joined General Electric Aircraft Engines, spending three years in various financial positions, including Manager Finance – Engineering. Between 1981 and 1984, Mr. Hurley was a member of the General Electric Financial Management Program. Mr. Hurley graduated from Assumption College in Worcester, Massachusetts with a Bachelor of Science degree in Economics.